And what the heck Sambhar Masala Semolina Bread is. Absolutely unique and never heard of. 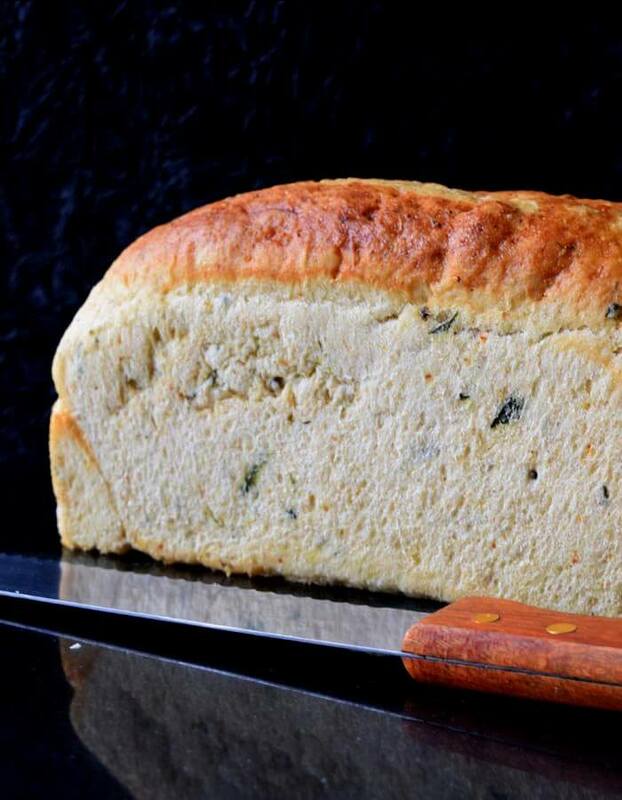 Here is what lead to this beautiful innovative recipe of sambhar masala semolina bread. “Amit, what would you like to eat in the breakfast today?” my every morning usual question that daily irritates him. But he surprised me with his answer that day. Not sure if this was his trick to irritate me back or it was a real-time challenge he threw on me, but his statement made me think. I had no clue what to make. Sometimes the more you try to find an answer, the answer keeps running away from you. I was in a similar situation. I took a deep breath and started organizing my thoughts. Unique, for breakfast and something of Amit’s taste so he cannot say no. 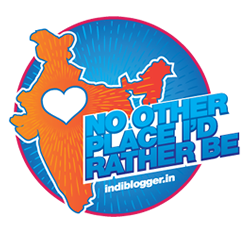 Amit is super fond of Dosa, Idli, and Vada but how to find something unique out of it. He also loves eating Bread Omelette in breakfast. And I was thinking of making a fusion here. My neurons started working and the sparks in the head kept giving me some or the other idea and boom. I had a stupendous fantabulous fantastic idea in my head. Healthy semolina bread recipe with a completely new and unheard flavor i.e. 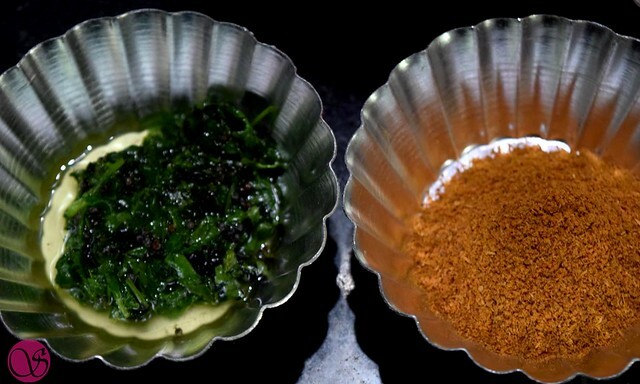 Sambhar Masala. 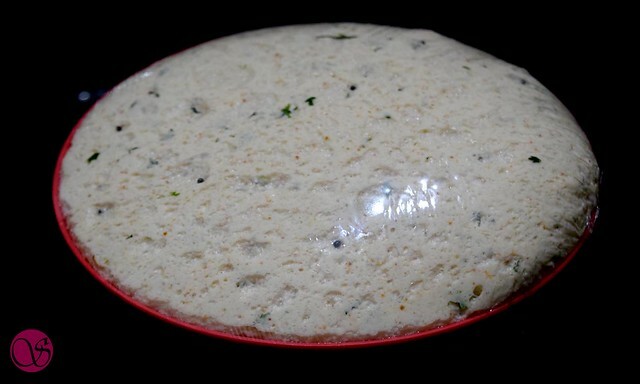 And I started to work on my innovation of Sambhar Masala Semolina Bread (SMS Bread). 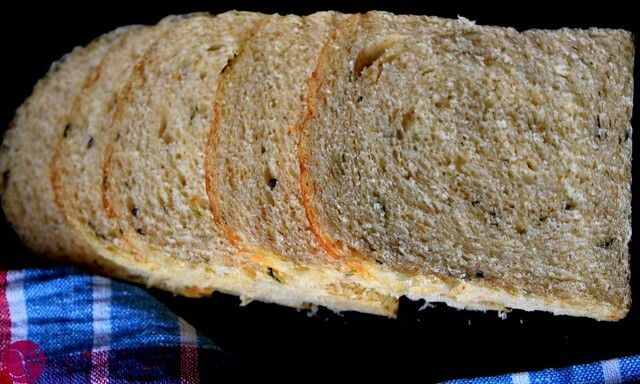 Sandwich bread loaf with Sambhar Masala flavor, the thought itself made me feel crazy. I was sure that Amit is going to like it. He already loves the Whole Wheat Semolina Bread and the Mix Flour Semolina bread. For this bread, I have used superfine rava (durum semolina) so this bread is not gluten-free. I have answered this question in one of my earlier recipe “Chocolate semolina cake”. This semolina is easily available in stores but make sure to check you are buying super fine semolina for the recipe else results will be different. One more thing that many people randomly ask me if it’s roasted semolina that I use for my recipes or raw. Well, my answer is “Always use raw semolina otherwise the texture of your baked items will be dry and crumbly”. There are three heroes of this Sambhar Masala Semolina Bread. Semolina and Sambhar Masala are evident but Flavoured olive oil is the hidden hero of this vegan bread. Take 1 tbs of olive oil in a pan. Heat it on low flame. Add mustard seeds and let them crackle. Switch off the flame. Add chopped coriander and curry leaves. Keep this oil aside for 5 minutes and let it cool down completely. In a bowl add lukewarm water, yeast, and sugar. Stir it and keep the solution aside until yeast froths. Meanwhile in a bowl take semolina, salt, and sambar masala. Mix everything. Add activated yeast solution and start kneading the dough. 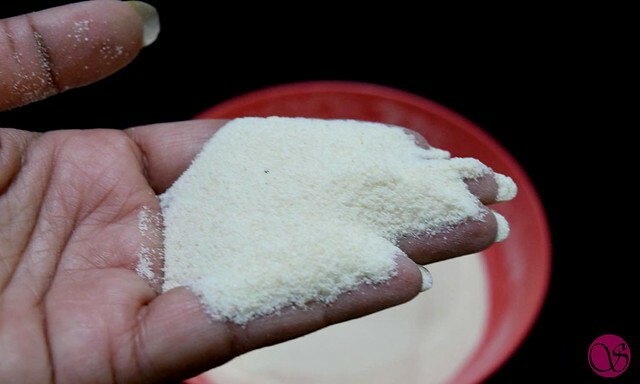 Semolina absorbs more water as compared to wheat flour or all-purpose flour. I have used 230 ml of water for the recipe. I always recommend adding water little by little (not in one go). Take the dough out on the working counter and add flavored oil. Continue to knead the dough for another 5 minutes. This dough is easy to handle. I did not knead it much because I wanted to let it rest for longer. 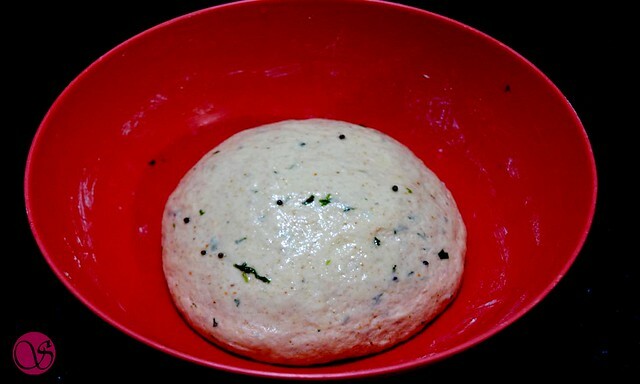 Once you get the smooth texture of the dough, place it in a greased bowl and cover it with cling wrap. Let the dough rest at some warm and dry place until it doubles in volume. I kept the dough for the first rise for almost 75 minutes. In normal conditions, we give 40 minutes for the first rise. But for this bread, I purposely extended the proofing time. Because it reduced the kneading time and effort and gave sufficient time for semolina to soak the moisture and become soft. After first rise (proofing) punch the dough to release the air and shift it to dusted counter. While punching be gentle with the dough after all yeast is a living organism. After 75 minutes of resting, my dough tripled to the actual volume. Less yeast, less kneading and longer resting time, did all the magic. After the first rise, the dough was soft, smooth and elastic. Just spread the dough on the counter and shape it. Place the shaped dough in a greased loaf tin (9*4*4). Brush the top of the bread with oil. Usually, I brush the bread with milk to avoid the crust formation during resting time. This time to make the bread dairy-free, I brushed it with oil. 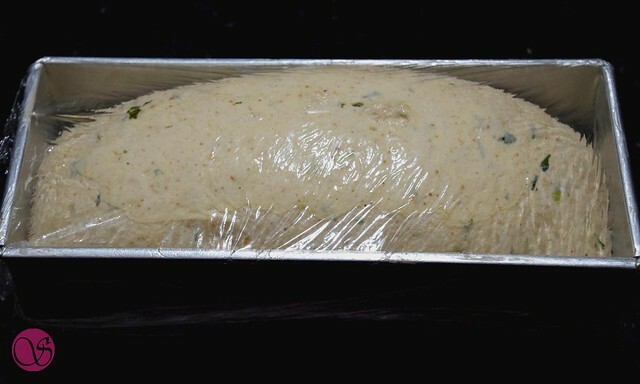 Cover the shaped loaf with cling wrap and let it rest for 30 min or until it doubles in volume. Meanwhile, preheat the oven at 200 °C. 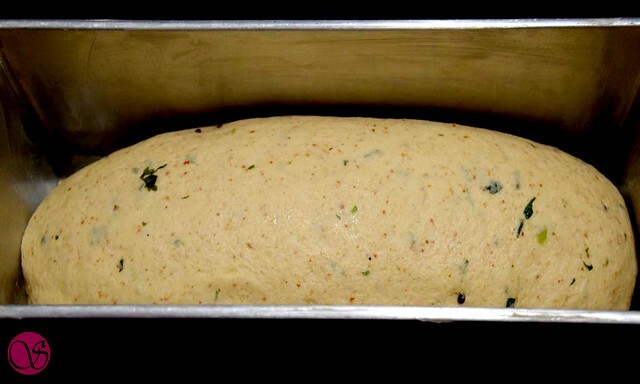 Once dough doubles, bake it in a preheated oven at 200 °C for 35 minutes. If you want then you can brush the loaf with egg before baking to get the golden crust. I haven’t used any dairy product or eggs for this recipe so I just brushed it with water and kept it in an oven. If you feel your bread is browning fast then cover the bread with aluminum foil and continue to bake. 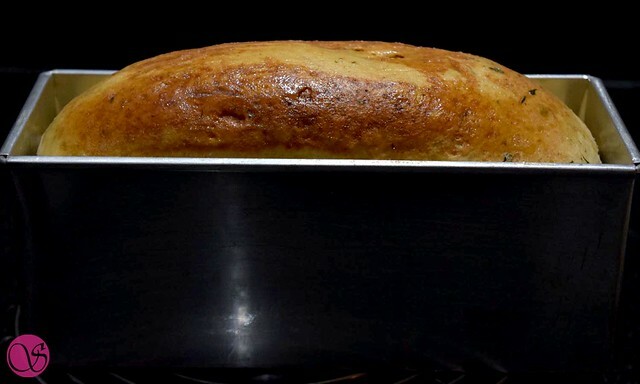 After 35 minutes, take out the loaf tin from oven and demould the bread. Keep the bread on a wired rack and brush it with olive oil. Let the bread rest for a minimum of 2 hrs. I always prefer to bake my bread a night before and then let the baked beauty rest for the entire night. It helps a lot to get the clean slices and well as better texture. Similar I did with this bread loaf. I sliced the bread the next day. The texture was awesome but the flavor was superb. I wish I could have captured the moment and facial expression of Amit when he tasted this bread. I aced him. One entire loaf vanished in just a day. I served it with spinach and mushroom omelet. Being a vegetarian, I had it with a little bit of butter and a giant cup of freshly brewed coffee. Sambhar Masala Semolina Bread is an innovative recipe. 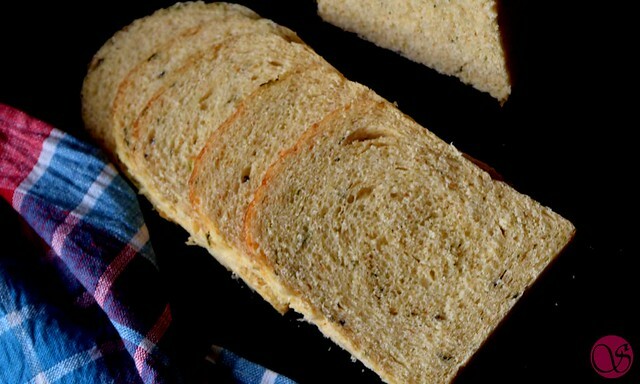 This amazingly flavorful delicious bread is healthy. A must try for Vegan lovers. Take 1 tbs of olive oil in a pan. Heat it on low flame. Add mustard seeds and let them crackle. Switch off the flame. Add chopped coriander and curry leaves. Keep this oil aside for 5 minutes and let it cool completely. In another bowl take lukewarm water. Add yeast and sugar to it. Stir it and keep the solution aside until yeast froths. Meanwhile in a bowl take semolina, salt and sambar masala. Mix everything. Add activated yeast solution and start kneading the dough. Knead the dough for 5 min and keep it in a greased bowl. Cover it with cling wrap and let it rest until doubles in volume. After first rise punch the dough to release the air. Spread the dough on counter and shape it into loaf. Keep the shaped dough into a greased loaf tin. Cover it and let it rest until doubles in volume. Meanwhile preheat the oven at 200 °C. Bake the loaf in preheated oven for 35 minutes. When baked, take the baked bread out from oven and demould it. Let the loaf rest on a wired rack for minimum 2 hrs before slicing. Use super fine raw semolina only. You can use 6 gm of dry yeast or 4 gm of Instant/Active dry yeast for this recipe. 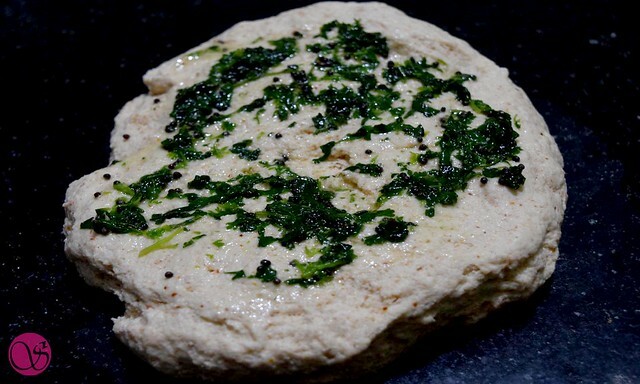 I haven’t used any dairy product or animal based products for my recipe, hence its vegan bread. For baking, use both the coils (top and bottom). To bake this bread in MW convention, bake at 180 °C for 30 minutes. Looks tempting .I will definitely try .